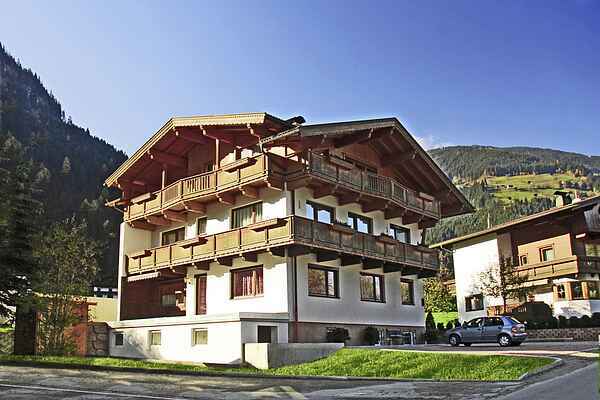 Sidan is a detached holiday house located in Mayrhofen-Schwendau just a 5-minute walk from the Horbergbahn, the gateway to the large Mayrhofener Bergbahnen hiking area. The house has three light-filled accommodations on the ground floor, first floor and second floor. All the accommodations are nicely furnished in a cosy design. The house is just a 5-minute walk from the lift station. The owners also operate a restaurant with a pizzeria, located just 300 metres away, where you can enjoy delicious Italian and Tyrolean specialities.